The illegal connection of stormwater pipes into the reticulated sewer system is costing East Gippsland Water, and ultimately customers, some $180,000 a year to address, as well as impacting on the reliability of sewerage services and the environment. Over the last ten months some 1,100 properties have been inspected in Bairnsdale, with non-hazardous white smoke injected into sections of sewer to locate points where there is stormwater infiltration. 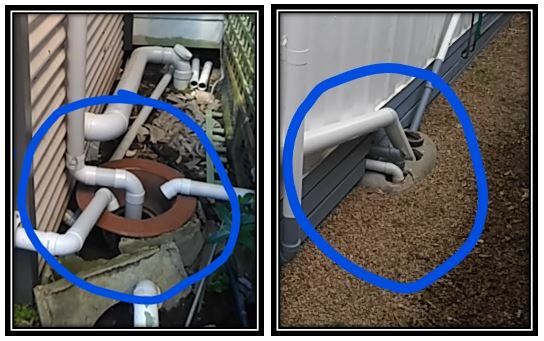 More than 350 issues have been identified, including illegal stormwater pipe connections – many involving downpipes from gutters connected direct into the sewer. East Gippsland Water is urging affected customers to do their bit to help tackle what is a region-wide issue, as it continues the current focus of its ongoing inspection program on Bairnsdale. In instances where illegal stormwater connections are discovered, the homeowners concerned are contacted and directed to bring in a licensed plumber to have the necessary remedial work carried out as soon as possible. East Gippsland Water’s Managing Director, Bruce Hammond, said, “We appreciate that in a number of cases people have unknowingly connected into the sewer, however it is important that anyone contacted about an illegal connection has this corrected as a matter of urgency. “Stormwater and sewer systems need to be kept completely separate to ensure that each operates efficiently. If stormwater enters the sewer network, it mixes with the sewage flowing to nearby wastewater treatment plants and therefore also needs to be treated. This intensifies the pressure on pump stations, as well as impacting on the operating costs of the plants and the volume of greenhouse gases generated. It also increases the likelihood of pipe blockages and sewage spills during heavy rain events, with stormwater entering sewers in greater volumes than the sewer mains are designed to cope with.